Android is the leading OS in today’s world. It is one of the most intuitive operating systems used in modern devices. It is not only used in mobiles and tablets but also used in many other modern devices like cars and television. The most important reason due to which Android is so famous is the flexibility that it can be used on so many devices. There are also a number of apps available on the Google Play Store. Apps like WhatsApp and Clash of Clans are so famous that people look for ways to install them on windows OS. So today, we have a perfect way to do that. Here we have two best methods to run android apps on windows. You can even install apps and use them just like on an Android smartphone or tablet. You can even enjoy a complete android interface on your desktop PC. Users can run Android apps on Windows OS to sideload and test apps as well. So, if you are looking for a perfect and easy way to run Android apps on PC running Windows OS, keep reading for best methods that you can use. How To Run Android Apps On Windows PC. Method 1. Use Remix OS app Player. YouTube Tutorial On How To Run Android Apps On PC. Given below are two best methods to run Android apps on Windows OS. Remix OS is an excellent project that focuses on running Android on PC. 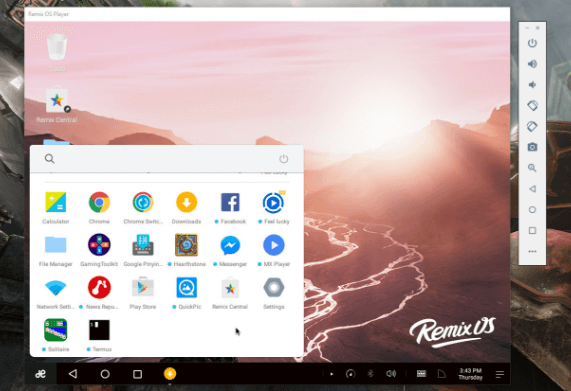 After their successful attempt at releasing a complete android OS for PC, Remix OS have released their app player, that you can use to run Android apps on windows. It is a simple application that brings the best of android to you PC. You can enjoy your favourite games and apps directly on the Windows PC without much hassle. Step 1. Download the Remix app player for windows from the link below. Step 2. Extract the package to a destination you want. Step 3. Install Intel HAXM from the link given below. Step 4. Open the extracted folder and run Remix OS. Step 5. Complete the setup and install your favorite Apps as well. 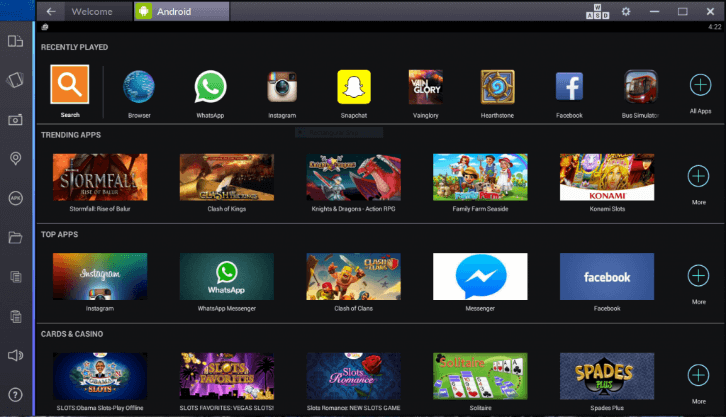 BlueStacks has been the best and most preferred Android emulator since the beginning of android development. People have used it from a long time to run Android apps on PC. It is fairly easy to use and runs smoothly on most hardware. Note:- High Graphics Memory or Graphic card is required for bluestacks installation. Step 1. Download the BlueStacks emulator from the link below. Step 2. Install the downloaded file on your windows PC. Step 3. Complete the installation and set up the emulator. Step 4. Install your favourite apps either from Google play store, app recommendations or direct apks. There is no need for separate 3rd party software installation. Simply update chromebook software to latest version. They is an inbuilt option to use android apps. Now you can enjoy running Android on your windows PC. In conclusion, these are the two best methods for running Android apps on windows and MAC OS. If you need any help or have any queries, write to us in comments below.